Wonderful family house with sun-warmed paving for sunbathing and swimming. 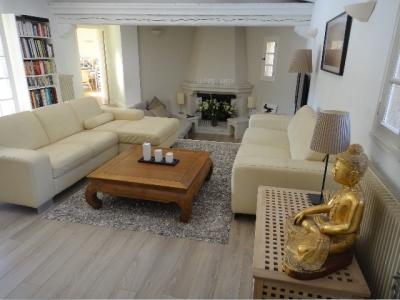 Located in a nice, peaceful area, this is a large villa in the attractive Provençal style. A perfect holiday villa with generous room for sunbathing, swimming and great outdoor life. 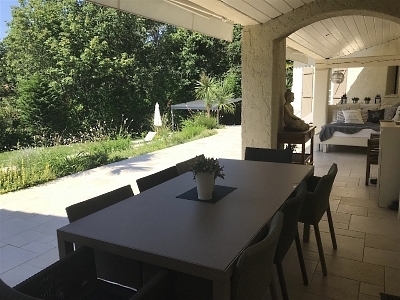 The villa is in a popular residential area in Roquefort les Pins, about 10 minutes from picturesque Valbonne, and equally cosy Biot, known for its glass blowing, and 15-20 minutes from the beaches along the coast. 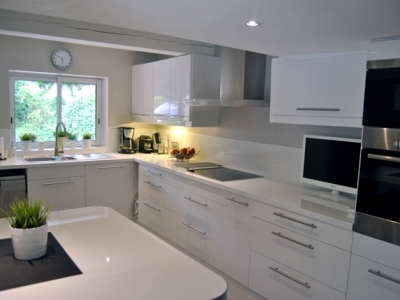 The house is decorated in fresh, Scandinavian modern style with all conveniences for both small or large families. 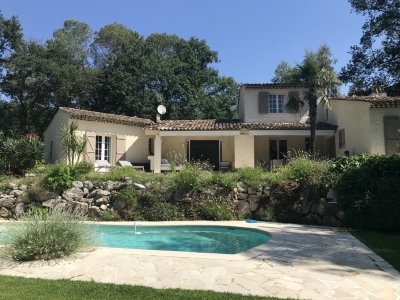 Good value for money for those who long for the “Provençal peace and quiet” yet want to be close to the multi-faceted summer bustle of the Riviera. Sleeping capacity: 4 bedrooms, all with 1.6 m wide double beds. Number of rooms: Entrance with hall and guest toilet, large living room with sofas facing an open hearth at one end and with a dining area at the other end. French doors from the living room out to the garden and terraces. Spacious kitchen with all appliances. 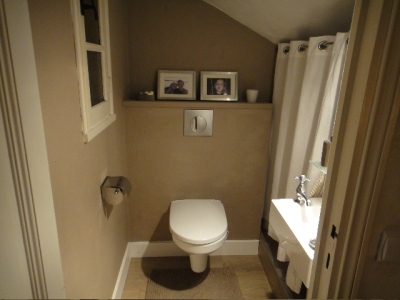 3 bedroom on the ground floor, 2 bathroom/toilets, 1 bedroom on the upper floor with its own bathroom. House size: Approx. : 200 m2. 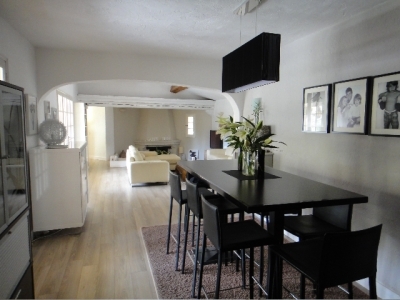 Standard/style: Classic Provençal stone house with fresh decoration in modern style. View: Open views to your own garden and greenery beyond. Well kept and green. 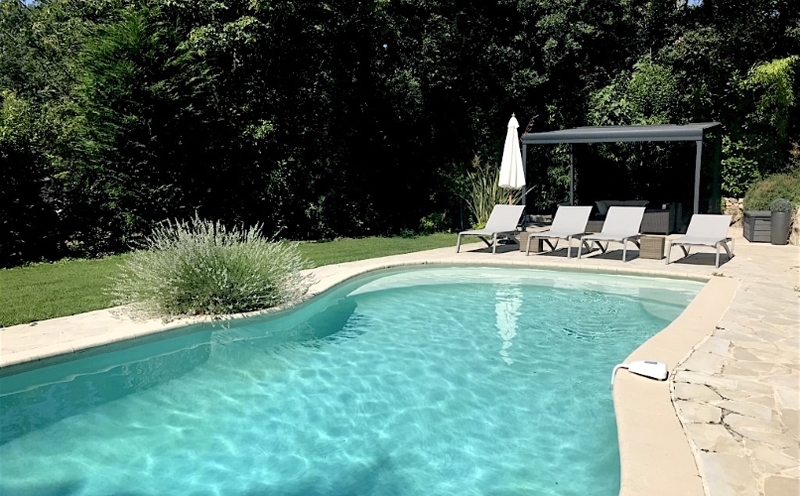 Garden/pool: The garden, of about 2,600 m2, encircles the house and has a green lawn next to the pool. Completely screened, and flat surfaces. Plenty of room for parking. 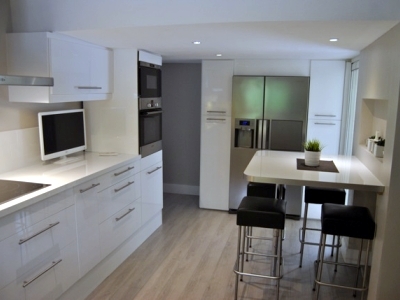 Facilities: Dishwasher, fridge-freezer, microwave. Washing machine. TV with Canal Satelite and Canal Plus channels, DVD player, Stereo, Barbecue. 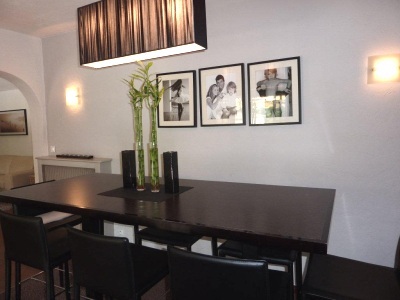 Location: Peaceful and protected location in an attractive green area. Residential area close to shops, parks, golf and the coast. Entertainment/shopping: There are many nice villages nearby, including Roquefort les Pins with food shops, etc. 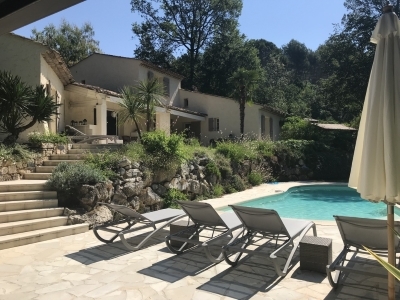 Close to Biot with its may restaurants, art galleries and, of course, for children Marineland with its dolphins, whales and many other animals, and an amusement park for the whole family. 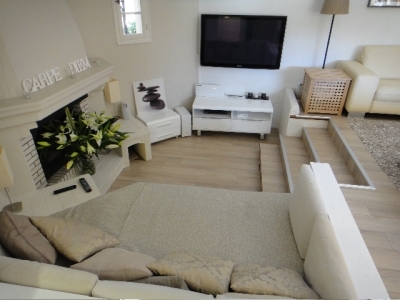 Near to cosy Valbonne with its world-famous Friday market, intimate restaurants, shops, etc. 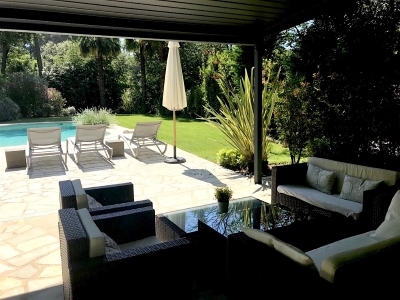 Also close to Antibes on the coast, Nice and 20 minutes from Cannes. 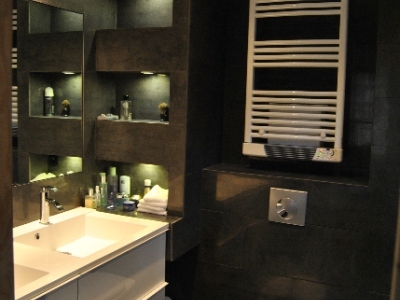 Bathing: 20 minutes to the pearl necklace of beaches in the area of Biot and Antibes. Golf: 2 popular golf courses right next door, in Valbonne and Opio! Several other popular courses within 10-20 minutes by car. 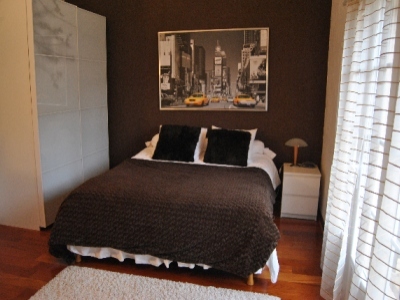 Airport: 30 minutes from Nice Côte d’Azur airport. Arrival Saturdays 16:00, departure Saturdays 11:00. We regret that dogs are not permitted. Smoking indoors is not allowed.